The painter, write and curator Timothy Hyman (b.1946) will speak about work – from his difficult experience of art school in the mid 1960s, to his eventual retrieval of human-centred imagery, often through observational drawing. Timothy Hyman’s paintings and drawings create a personal mythology of London (where he grew up and continues to live and work). He was elected RA in 2011. 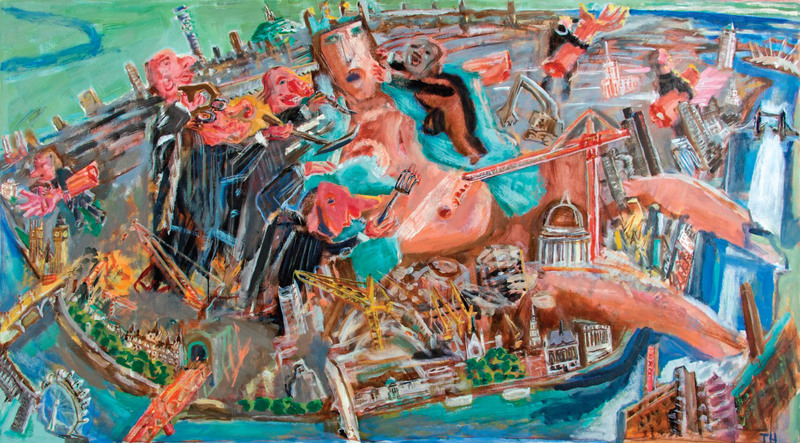 Born in 1946, he studied at the Slade (1963-67) but first exhibited only in the late 1970s, emerging as a leading voice in the renewal of figurative painting. In 1979-80 he curated the controversial exhibition Narrative Paintings which toured to the ICA, London. In parallel to ten London solo exhibitions (most recently The Man Inscribed with London at Austin/Desmond in 2009 and A Year at Maggies, Royal Academy 2015 ) he has contributed frequent articles to the TLS and elsewhere. His monographs on Bonnard (1998) and Sienese painting (2003) are published by Thames and Hudson. In 2001 he was lead curator for the Tate’s Stanley Spencer retrospective. Timothy Hyman has had a long involvement with contemporary Indian painters, writing the first monograph on Bhupen Khakhar (whose retrospective opens at the Tate in June.) He won the National Portrait Gallery’s Travel Award in 2007 and is one of the founders of the Royal Drawing School. Works in public collections include : the Arts Council, British Museum, British Council, Contemporary Art Society, Deutsche Bank, Government Art Collection, Los Angeles County Museum, Museum of London, Royal Academy and the much admired ‘The Stripping of London’ in the Swindon Collection.